The Mega Mall Kanpur review is best mall in the city of Kanpur, the mall has many outlet. This mall has all modern facility.It is awesome place in kanpur .This mall provide all facility to all their consumers .It is one of the best place in Kanpur Located at Mall Road, besides Heer Palace. 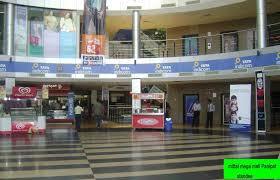 It serves top class multiple brands.For movies lover it is most popular mall in kanpur. Apart from shopping these mall offer various other food chain outlet so that you can enjoy completely.